Description：The popular Chinese resort island of Hainan Province will further relax limits on offshore duty-free shopping from next month. The popular Chinese resort island of Hainan Province will further relax limits on offshore duty-free shopping from next month. The new policy will increase the annual tax-free shopping quota for travelers, according to the Ministry of Finance (MOF) Wednesday. Effective December 1, the quota will be raised to 30,000 yuan (about 4,300 U.S. dollars) per year from the current 16,000 yuan, without limits on the number of purchases, said a joint statement from the MOF and China's customs and taxation authorities. Some home medical devices will be added to the duty-free list, including hearing aids and breathing machines. The new policy allows not only travelers but also locals to buy duty-free products worth up to 30,000 yuan, said Wang Huiping, director of the provincial finance department, at a news conference to further explain the policy. After the implementation of the new policy, the local residents of Hainan Province will also enjoy the same offshore tax-free quota as travelers. Currently, the locals are allowed to buy duty-free items in Hainan once a year, and the purchase cannot be more than 8,000 yuan. 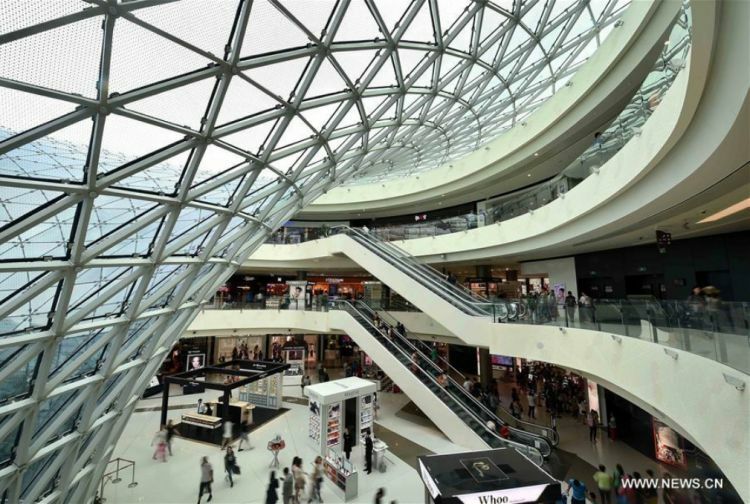 Meanwhile, Hainan will open two more tax-free shops in the cities of Haikou and Qionghai, in addition to the current two duty-free shops, according to Wang. Wang said travelers who leave the island by ship are also expected to enjoy the new policy in the future. "The new change will help bring more luxury products to the Chinese market and convenience for visitors," Wang said, adding that it will attract more visitors to the island and boost the development of the service industry. Relevant government departments and companies in Hainan are now preparing for the implementation of the new policy, according to Wang. "To facilitate the implementation of the new policy, our shop has built pick-up locations for duty-free goods at the island's two ports, upgraded our information system and improved personnel training," said Su Yi, vice manager of Sanya Duty Free Shop, owned by China Duty Free Group. "The sales system in our store and our online retailer platform have both been upgraded to cope with the new policy," said Lei Qing, vice manager of Haikou Meilan Airport Duty Free Shop, owned by Hainan Provincial Duty Free Co. Ltd. "We are also attempting to bring in more home medical devices to meet travelers' demands." The duty-free shopping policy was implemented in April 2011 and has been improved since with broader coverage and fewer restrictions. Duty-free sales in Hainan jumped 24.1 percent year-on-year in the first half of the year, to 5.29 billion yuan.